The unlocking tool, ChevronWP7, will be officially going offline on August 11. 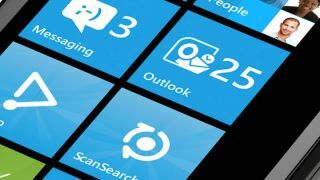 Used to help develop homebrew apps for Windows Phone, ChevronWP7 gave would-be developers a chance to "jailbreak" their phones and cultivate new phone applications. According to published reports, the ChevronWP7 team were allotted 10,000 app hub unlock tokens in January to issue people at $9 per token. Anyone with a ChevronWP7 token and has an unlocked phone that is connected to a PC running the Microsoft Zune software, will find their devices re-locking when the date finally comes around. The ChevronWP7 team, together with Microsoft, announced the ending of the program back in April. ChevronWP7 team member Rafael Rivera, was quoted in a published report saying that Microsoft will be given a list of customers that are eligible for a free App Hub, which normally cost $99 per year. The ChevronWP7 Labs support email will remain active in case of any emergencies. According to the ChevronWP7 company's blog, all the service's data will be wiped off all Microsoft Azure severs after securely backed up for offline storage. The ChevronWP7 team also teases about possible future projects and to stay tune. Maybe they have something really exciting coming down the pipeline.